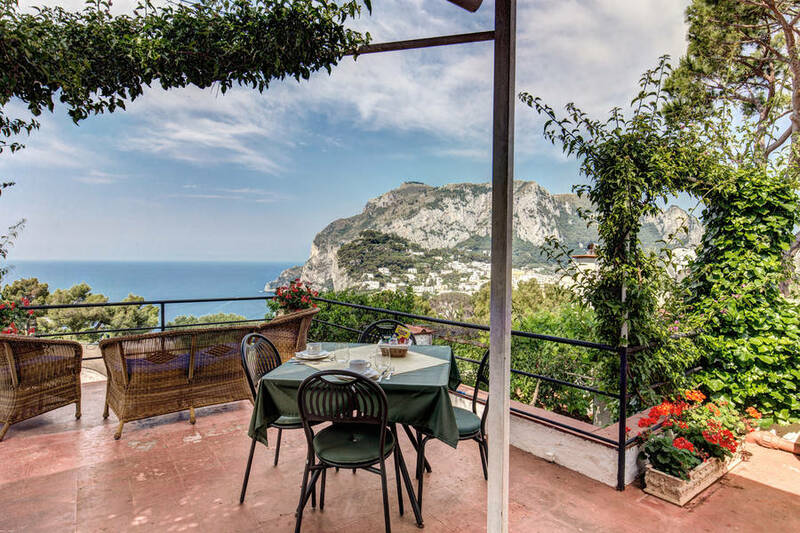 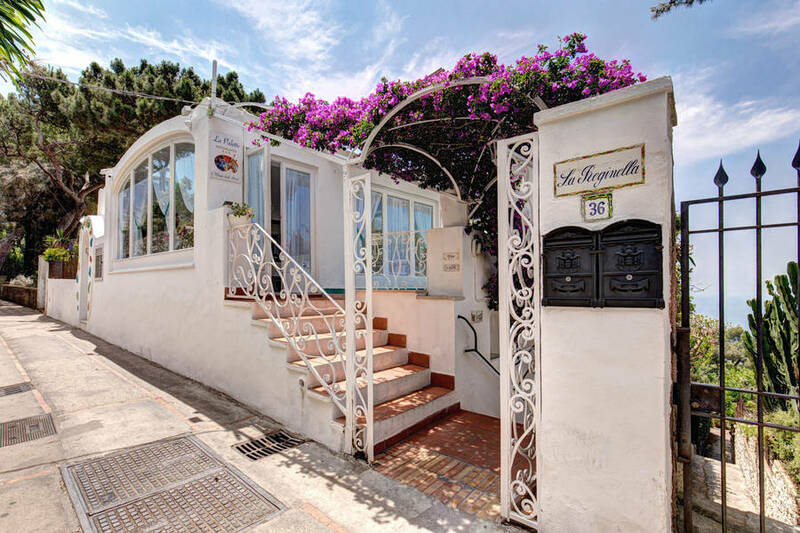 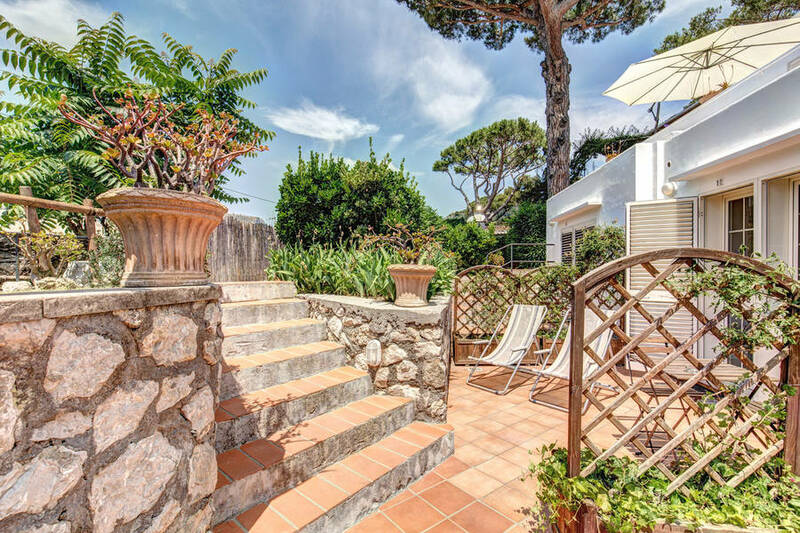 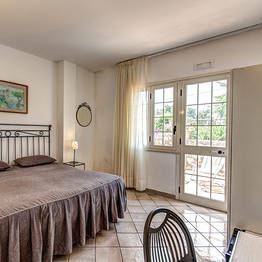 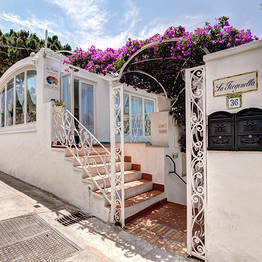 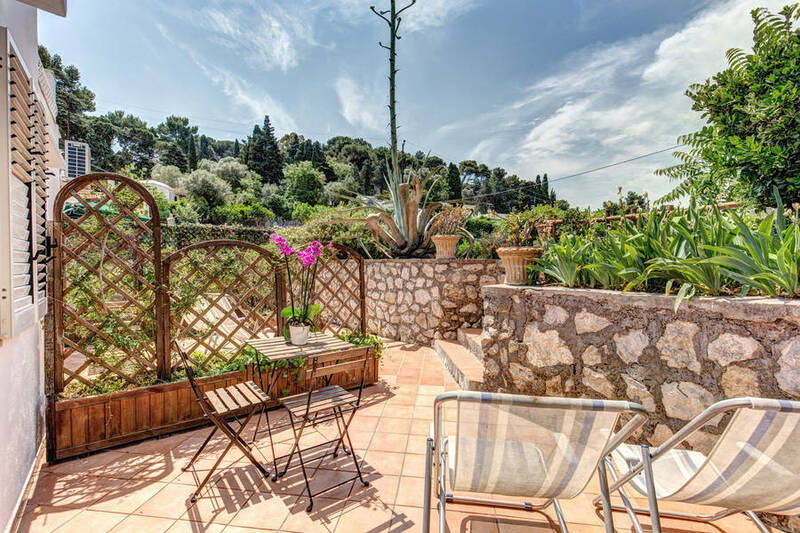 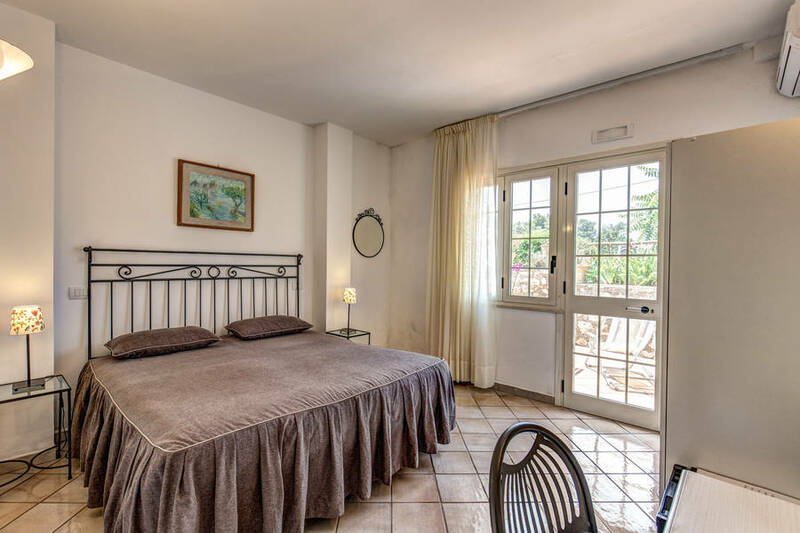 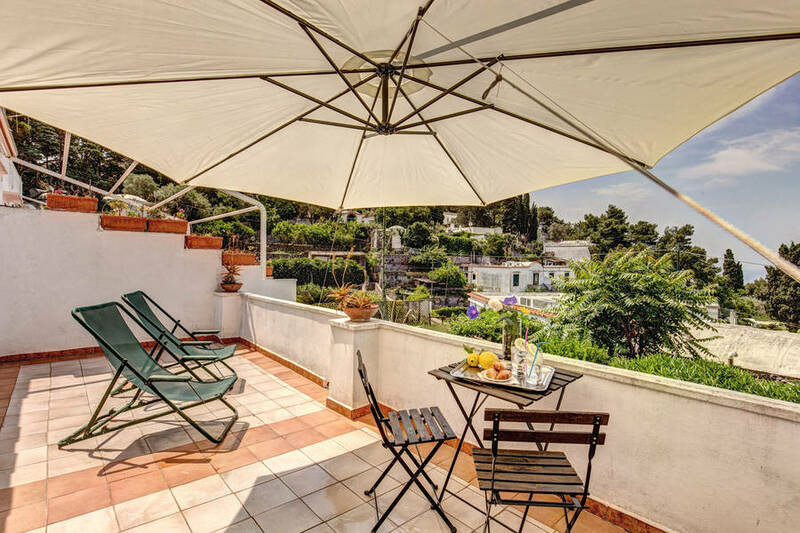 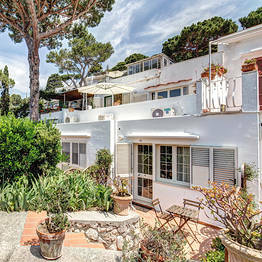 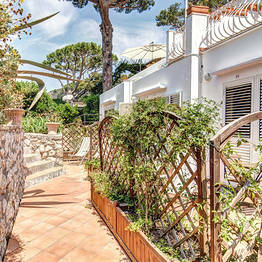 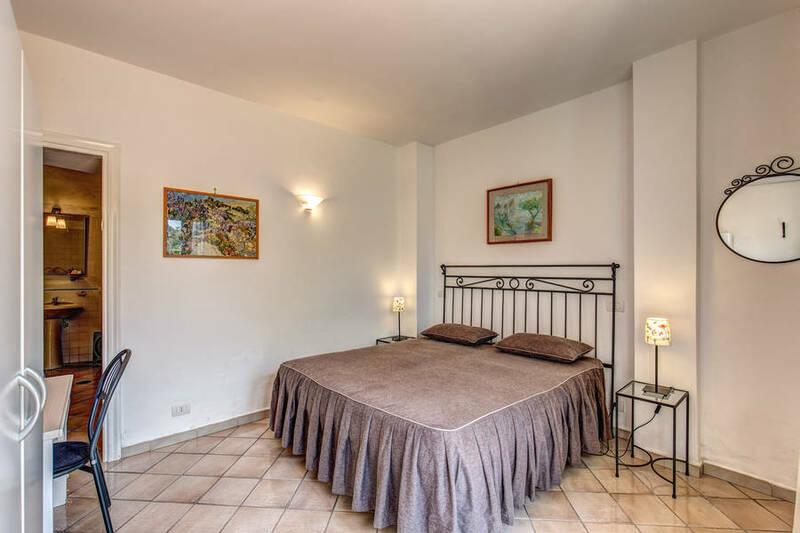 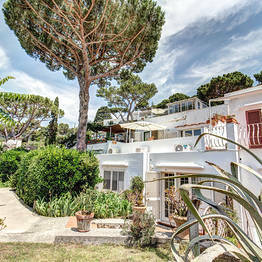 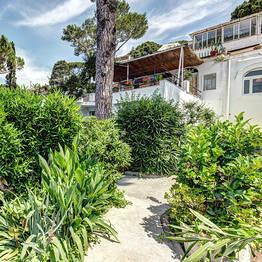 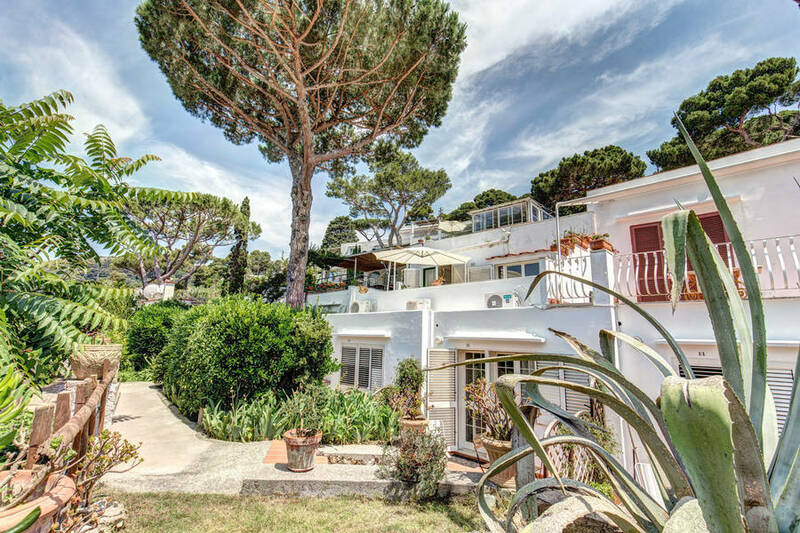 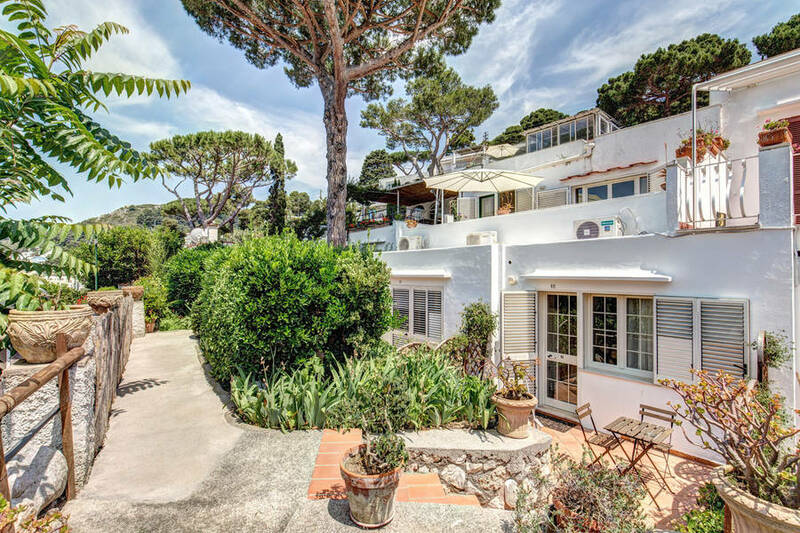 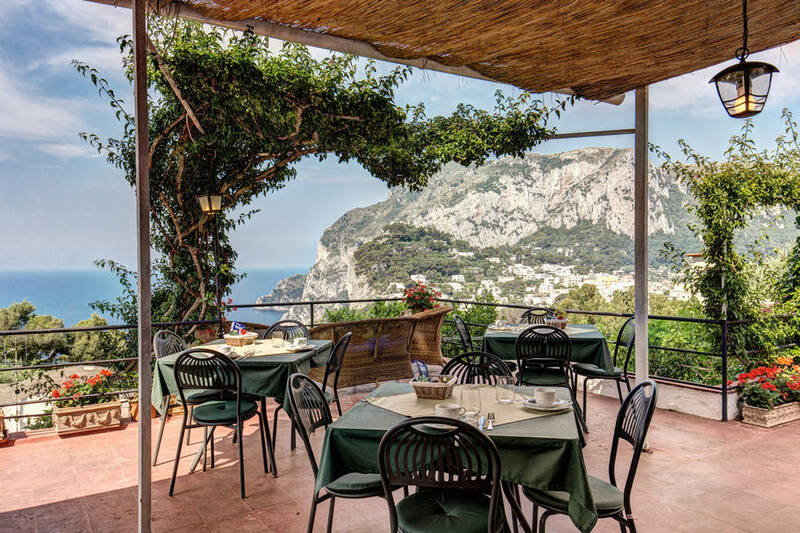 La Reginella Capri: 3 reasons to book here | Capri Booking. 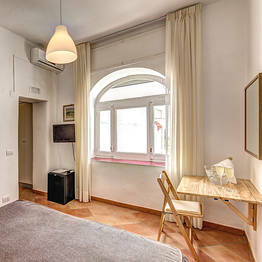 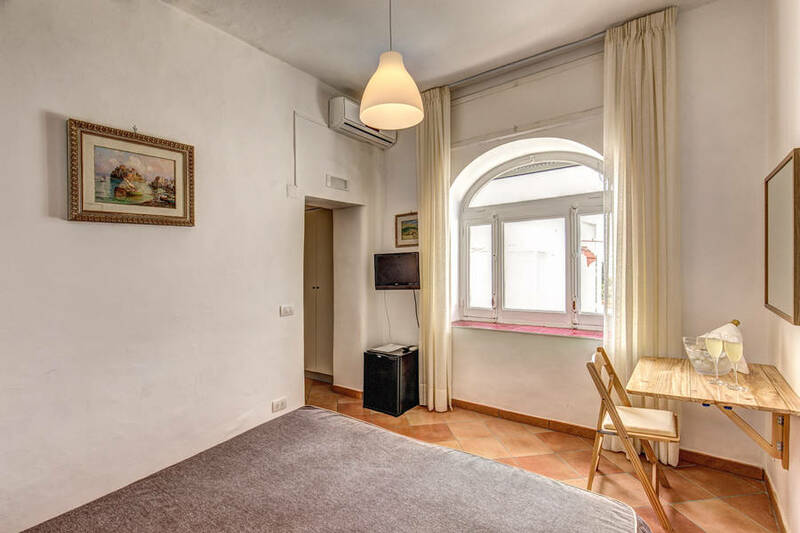 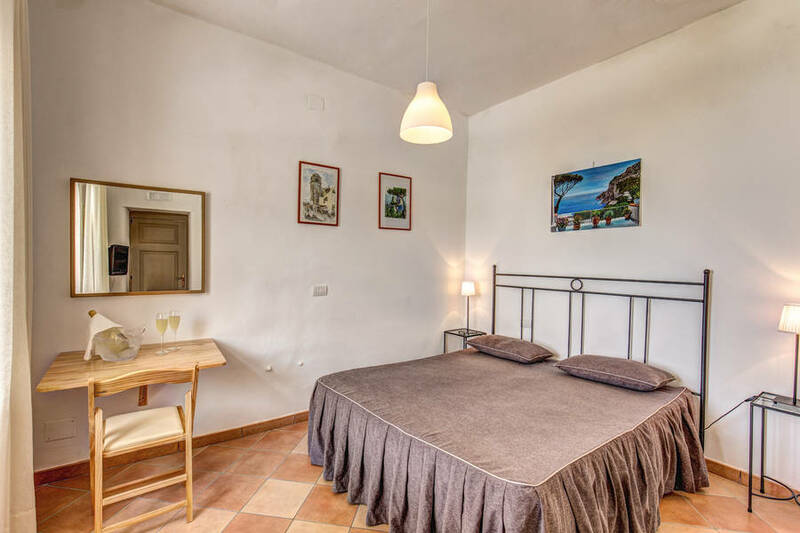 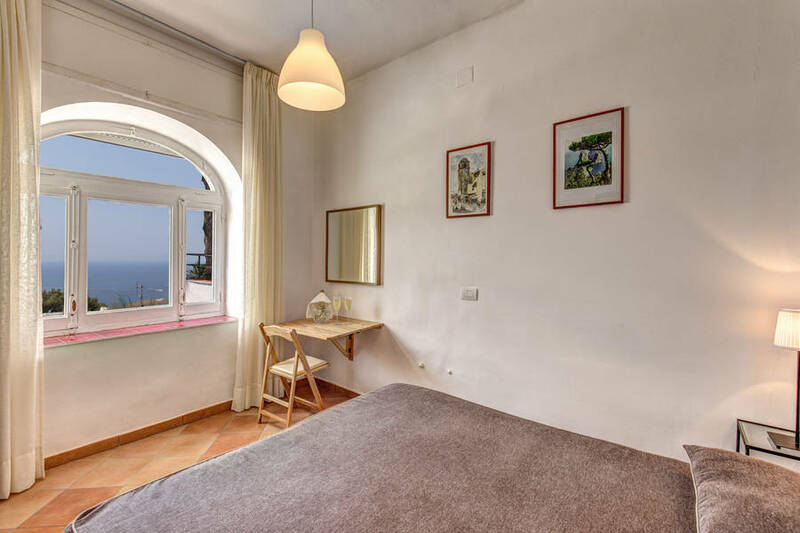 However steep the uphill climb may be to get here from the Piazzetta, the view of the sea and Marina Piccola which awaits guests staying at Hotel La Reginella, make it more than worth the effort! 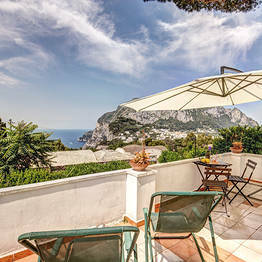 The same view which, in the post war years, made the villa the elected residence of the artists and travelers who came to stay on the island of Capri. 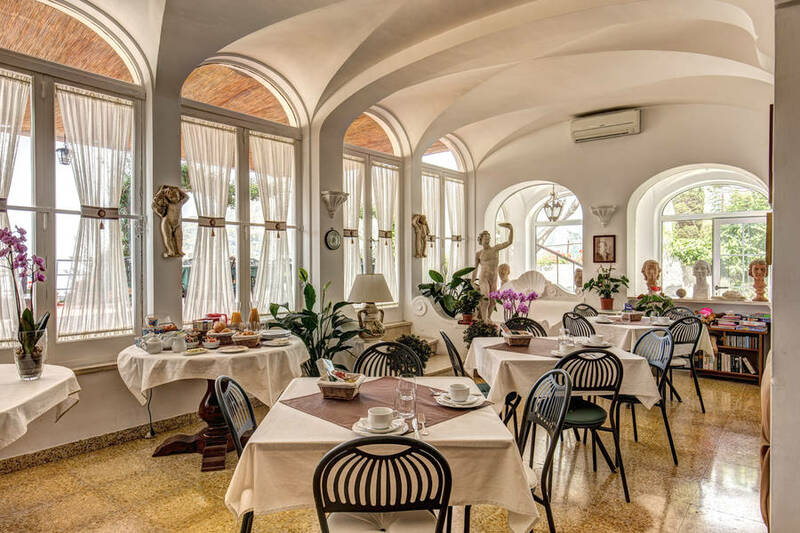 The history of Hotel La Reginella is inextricably linked to art. 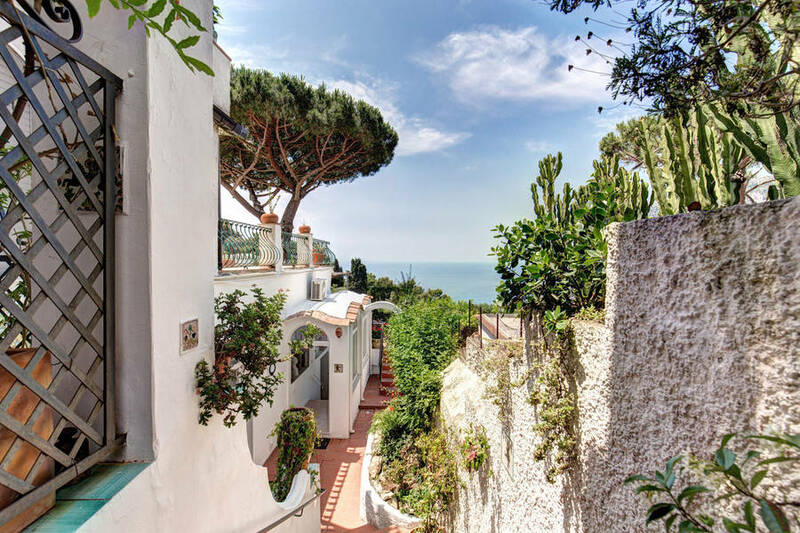 Ever since the violinist, Paolo Falco, and his wife, the pianist Elisabeth Rudorff, decided to transform their island home in to a hotel, La Reginella has provided a unique haven for the world's painters, writers, poets and sculptors. 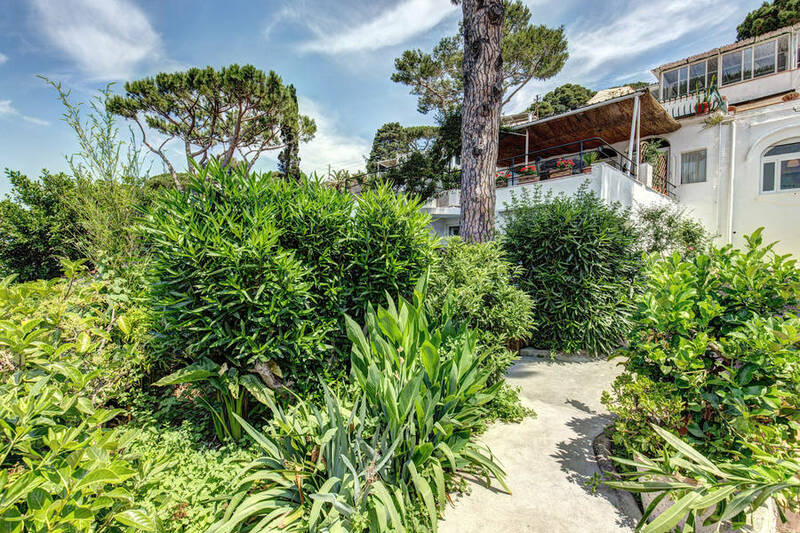 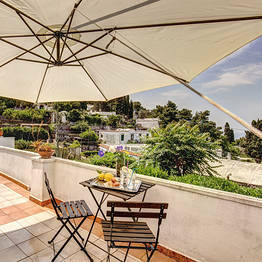 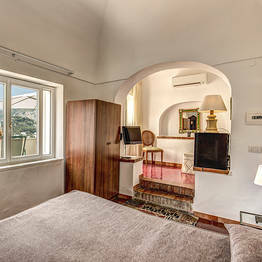 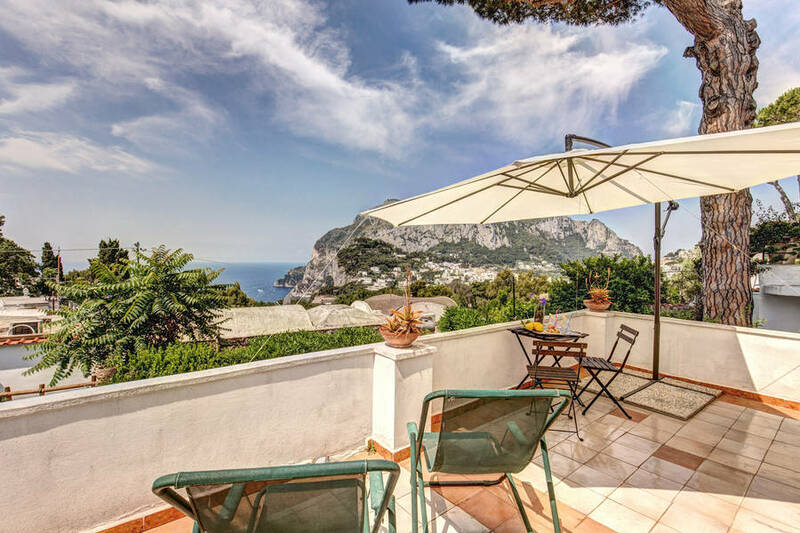 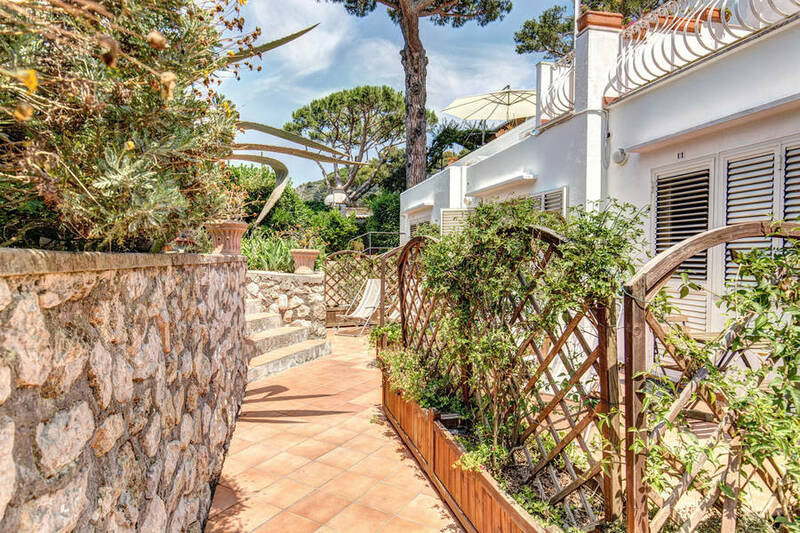 The peace and quiet of the hill of Matermania, the authentic charm of a traditional island home and a panoramic terrace with breathtakingly beautiful views of the sea: all you need for a dream holiday on Capri. 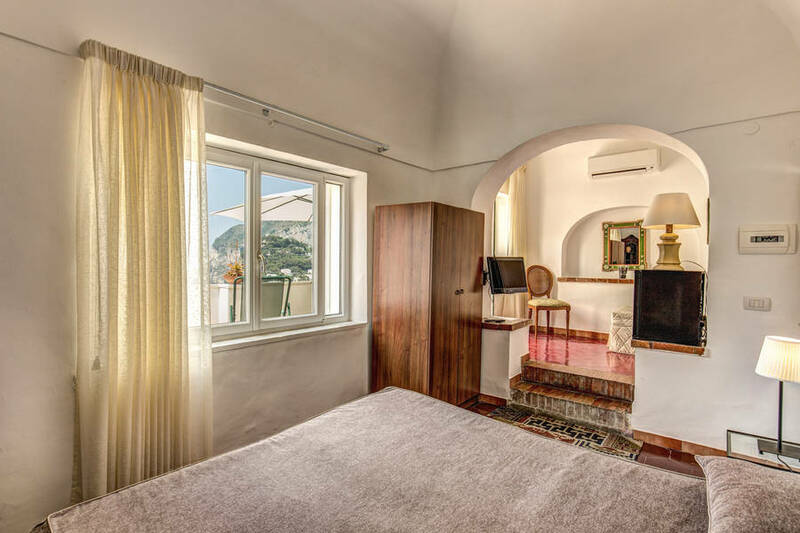 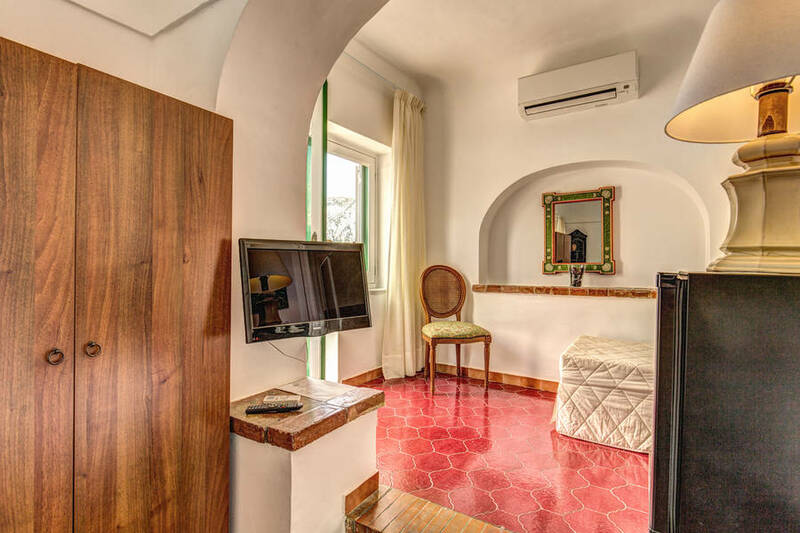 In fact, if you're looking for the lavish luxury of the island's 5 star hotels, you won't find it here: La Reginella's air conditioned rooms (some of which have a little balcony) have everything you need - and nothing you don't! 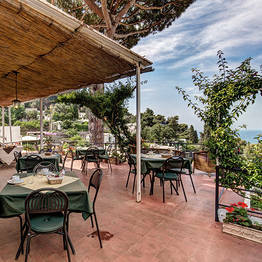 La Reginella's terrace is the heart of the hotel. 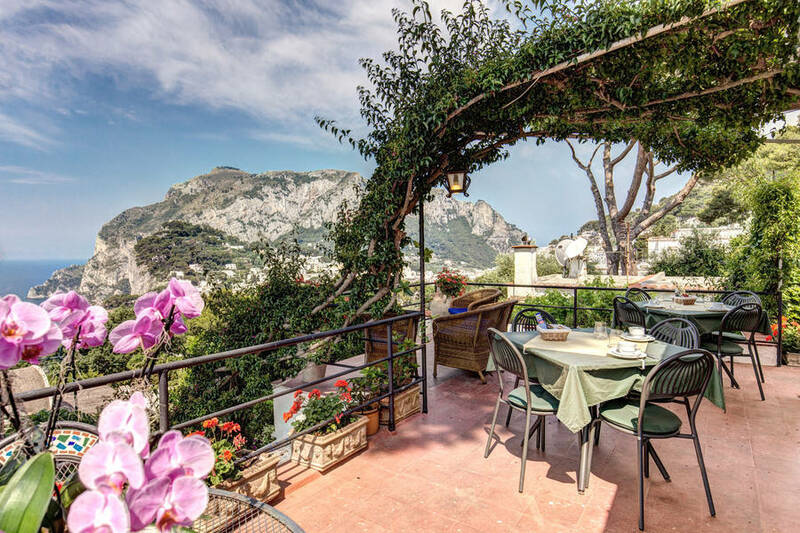 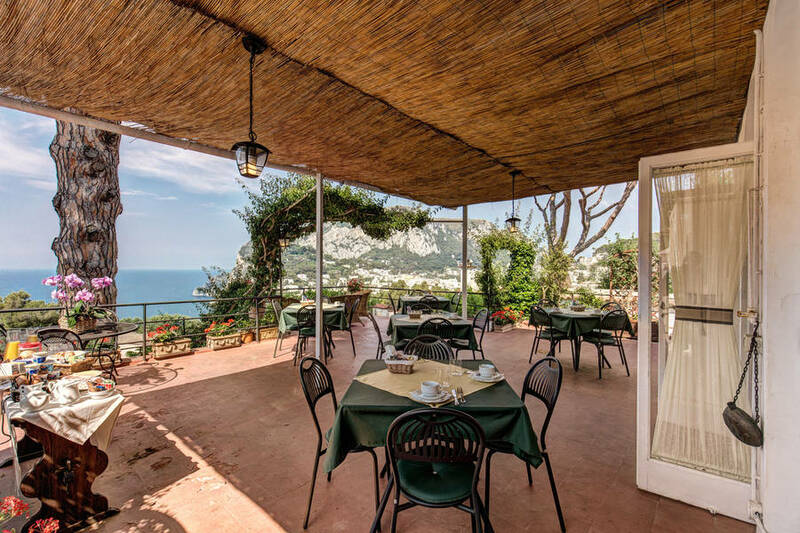 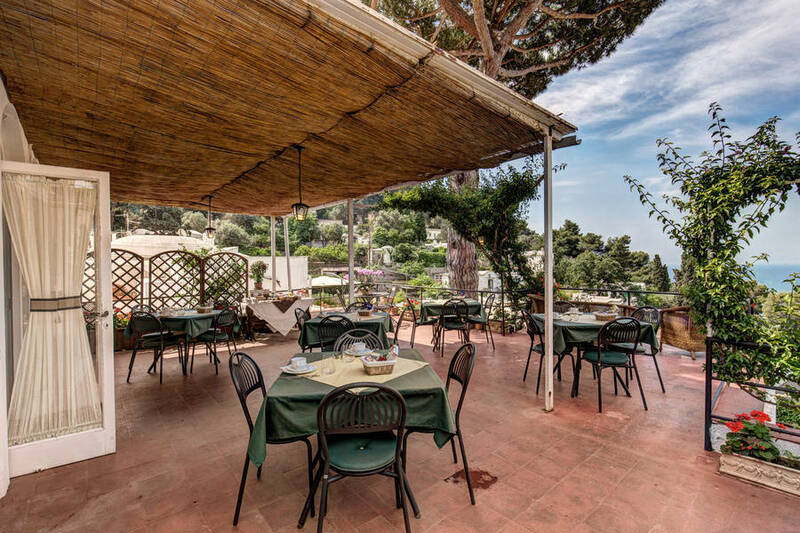 This is where, each morning, a delicious al fresco breakfast is served and where, each evening, after having spent a day in the Piazzetta, visiting the nearby Natural Arch, or exploring Capri's sea caves by boat, guests gather to chat and relax. 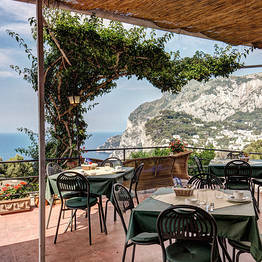 "By Capri standards, I'd say it was good quality for money." 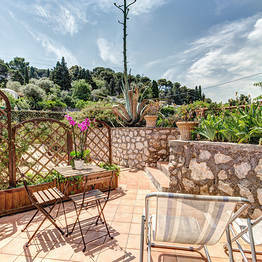 "Each room has its own little garden area with table and chairs: the ideal place in which to relax in the evenings. " 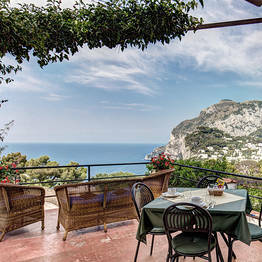 "From the terrace of the hotel, a breathtakingly panoramic view can be seen." 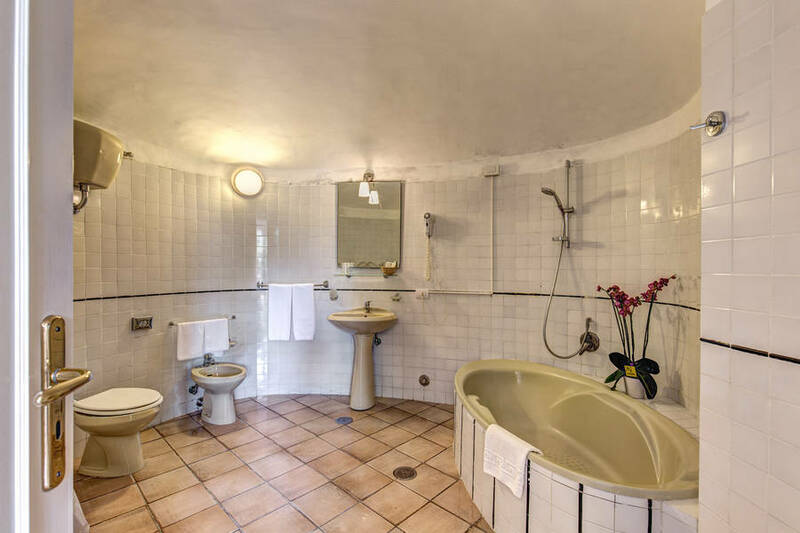 "The staff was always pleasant and helpful. " 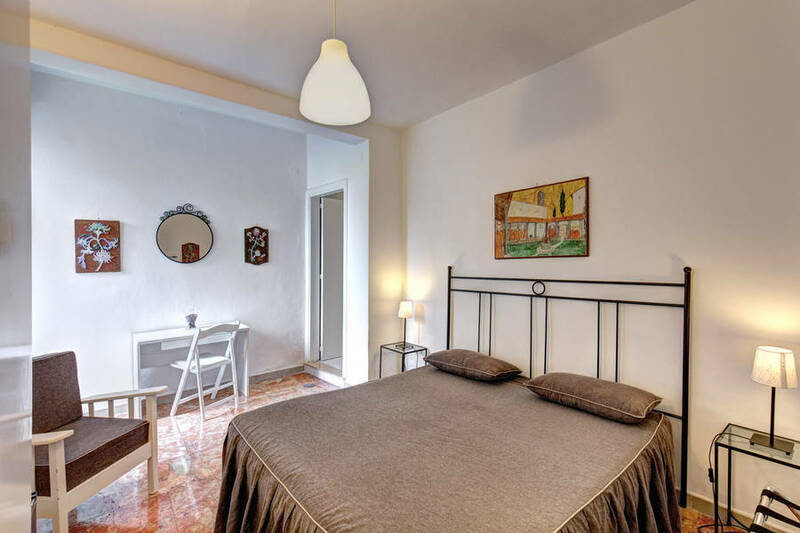 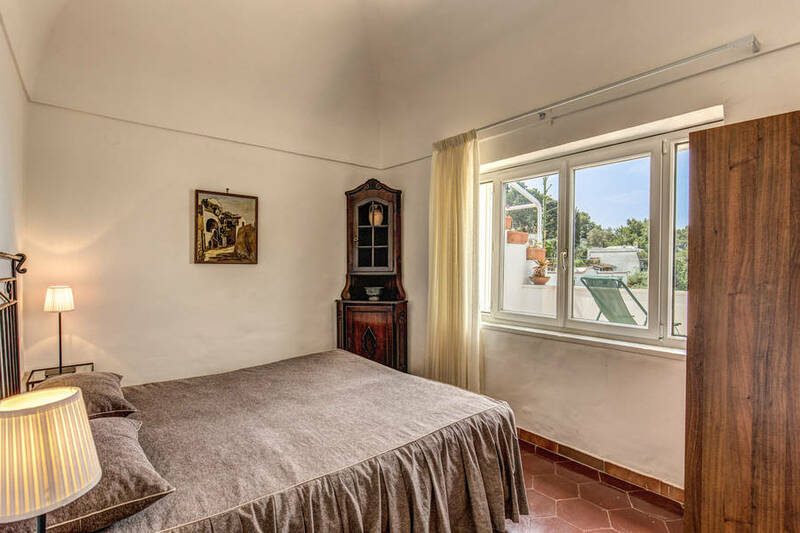 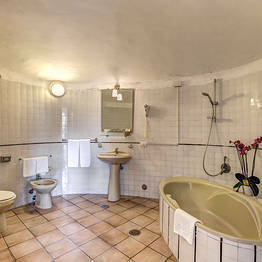 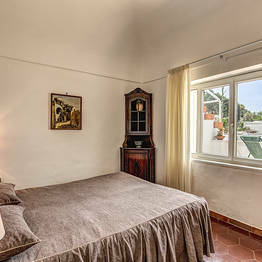 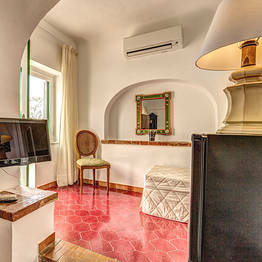 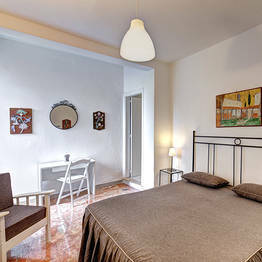 "The rooms are tastefully furnished, in simple and functional style. " 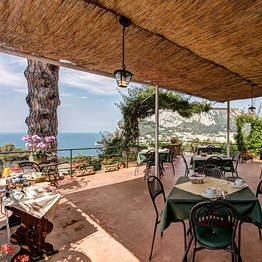 "The location is excellent for excursions and walks but quite a long way from the center (a 10-15 minute uphill walk). " 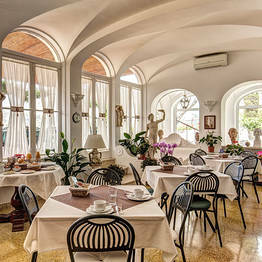 "The breakfast was satisfactory although not what I'd call generous. " 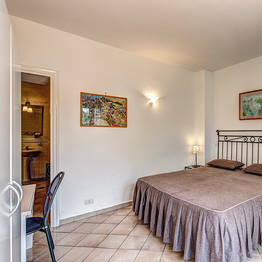 "Overall it is a very good place to stay. 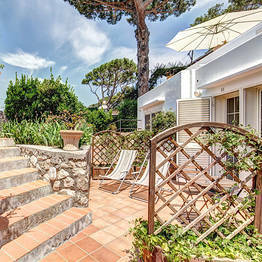 Alex and Lucia was a wonderful host, who completely take care of their guests . 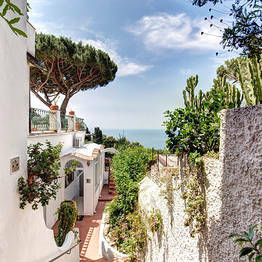 We enjoyed our times there. " 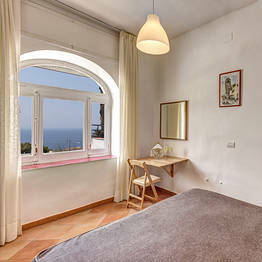 La Reginella: "Dear Donny and Sari, thank you for staying with us, it's been a pleasure to meet you and hopefully see you again sometime in the future. 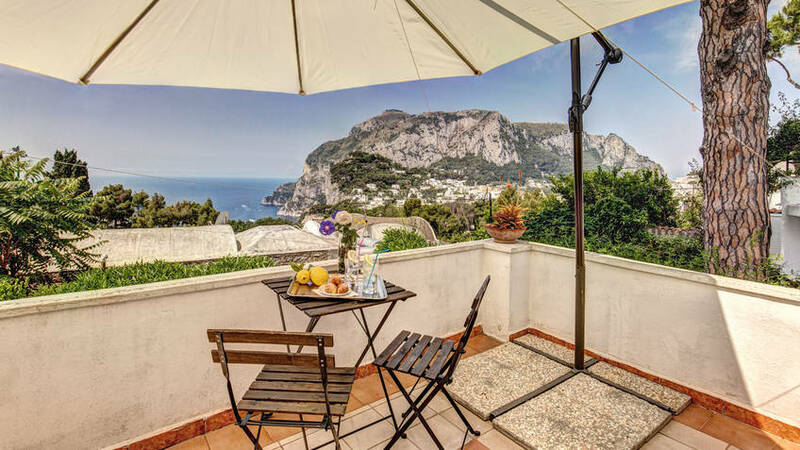 Best regards, Alex"
Ten minutes is all it takes to reach Hotel La Reginella from the Piazzetta and the center of Capri The walk might be uphill, but the fabulous views of the sea waiting to be admired from the hotel's terraces make the climb more than worth the effort! 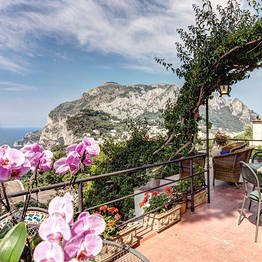 The hotel lies within meters of the Natural Arch', where the spectacular Pizzolungo coastal path, leading to the Tragara viewing point and the Faraglioni rocks, begins.